Ernest was born in 1881 in Long Lane, Shaw, the eldest son of Charles Deacon and his wife Matilda née Eggleton. He had two younger siblings, both brothers, Frank William (born 1883) and Albert (1889). His father worked as a drayman for a local brewer - there were several who might have been his employer, the nearest to Long Lane being Palmers in Donnington, Adnams in Speenhamland and Somerset’s and several others in Newbury. After school (probably at Shaw school in Love Lane) Ernest also entered the brewing business, in his case as an assistant maltster. There were many maltings in the area, both within brewery businesses and independent. Malt was an important product in the Newbury area supplying both local and London brewers. However, it seems likely that he was working for a brewery, perhaps the same one that employed his father? In time, he too became a drayman, for the South Berks Brewery in Newbury. 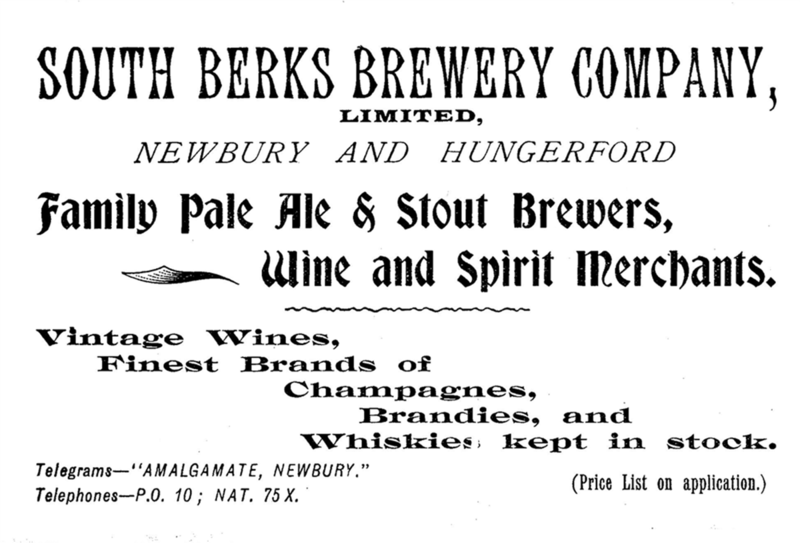 South Berks was an amalgamation of five Newbury breweries, anyone of which may have employed Ernest, or indeed Charles, though only Hawkins' in West Mills and Westcombe's in Bartholomew Street had their own maltings. 7 Kingsbridge Road, known to Ernest as Daisy Villa. In 1902 Ernest married Charlotte (Lottie) Jane Blackwell and the birth of their first child, also Ernest Henry, followed on 4 September 1903, born at 5 Denmark Road. Tragically young Ernest did not live long beyond his first birthday and was buried in Speen churchyard on 4 October 1904. 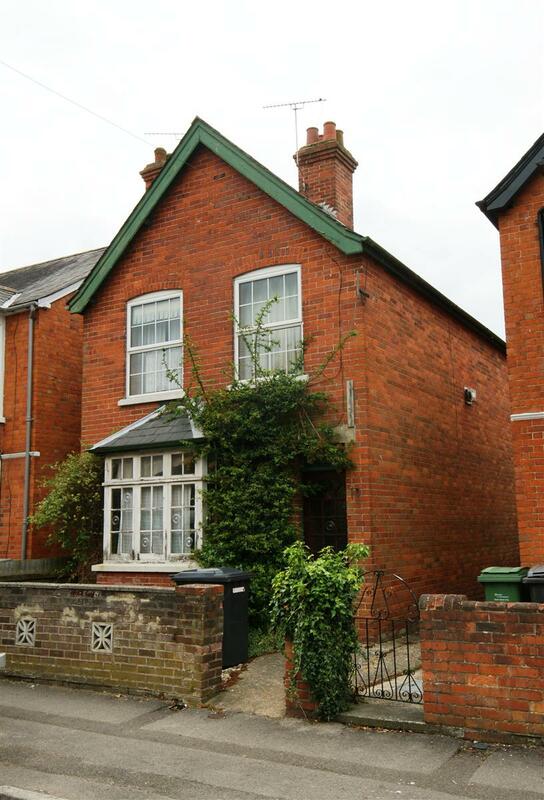 The following year, on 13 August, their daughter, Daisy Jane, was born at 34 Shaw Road. In 1910 they moved into a newly built house in Kingsbridge Road which they named Daisy Villa, after their young daughter. Three years later, in 1913, their second daughter, Gladys, was born. When war broke out in 1914 Ernest was 33 years old; he volunteered for service in the Royal Field Artillery (RFA) in early 1915, training with them in camps at Cosham, Folkestone and Borden. Ernest landed in France on 25 August 1915, almost certainly as a member of one of the RFA batteries attached to the 23rd Division (102, 103, 104 or 105 Brigades, RFA). With this Division he would have seen action all along the British sector of the Western Front, notably in several of the sub-battles of the Battle of the Somme. In March 1917 he was seriously injured and passed through the chain of hospitals set up to treat wounded and injured men. First he went to a Divisional Field Ambulance (the 69th Field Ambulance) then a Casualty Clearing Station and then to a base hospital (in his case at Boulogne) before being repatriated for treatment in England (Bermondsey Military Hospital, Lewisham). At the end of April he was well enough to come home for 10 days sick leave, before returning on light duties to a posting at Maryhill Barracks in Glasgow. Sadly his injuries caused him further problems and he was admitted to the 3rd Scottish General Hospital, Stobhill, Glasgow, for further treatment. It was decided that a further operation was required, from which, sadly, he did not recover. He died on 2 December 1916 and was buried in Shaw churchyard six days later. DEACON – Dec 2, at 3rd Scottish General Hospital, Stobhill, Glasgow, Gunner Ernest Henry Deacon, of “Goldcroft,” Russell-road, Newbury, dearly loved husband of C J (Lottie) Deacon, and eldest son of the late Charles and Matilda Deacon, of Shaw Kiln Road, aged 36 years. The death took place at the 3rd Scottish General Hospital, Stobhill, Glasgow, on December 2nd, of Gunner Ernest Henry Deacon. Deceased was born at Shaw, and had been employed at the South Berks Brewery; latterly at the G W Station as carman. When volunteers were asked for in 1915, he joined the RFA, training at Cosham, Folkestone and Borden Camps. He went to France with his battery in August, 1915. Later he came home to attend his mother’s funeral, and a short time afterwards again returned to England to visit his father, who was seriously ill and who died two days after the deceased returned to France. Deceased was seriously injured and reported sick on March 20, 1917, and was sent to the 69th Field Ambulance to the CCS in the 25th and later to Boulogne Hospital, from these he was sent to Eastleigh on April 11th, and shortly afterwards transferred to Bermondsey Military Hospital, Lewisham. At the end of April he came home on 10 days’ sick leave, on the expiration of which he was sent to Maryhill Barracks, Glasgow, for light duty. In November he again reported sick and was removed to the 3rd Scottish General Hospital, Glasgow, where he underwent an operation, from which he did not recover. His wife was wired for, but he passed away the day before she arrived; the Military authorities had the remains conveyed to his home at Newbury, where they arrived on Thursday. The coffin was of the Scottish style, covered in black cloth with black furniture, and the name plate was inscribed: “Gunner Ernest Henry Deacon, died December 2, 1917, aged 36 years.” The funeral took place at Shaw Churchyard on Saturday, the Rev P L Tompkins officiating, in the absence of the Rector of Shaw. The mourners were Mrs Deacon (widow), Mrs Ridgers (mother-in-law), Mrs W Ilsley, and Mrs G Dawson (aunts), Mr G Dawson (uncle), Mrs F Deacon (sister-in-law), and Mr H Weld. A bearer party in charge of Corpl W North, attended from Headquarters of the Royal Berkshire Regt, Reading, and about 20 wounded soldiers from the Newbury District and Albion House Hospitals. Wreaths and crosses were sent from his sorrowing widow and children, Mr and Mrs G Dawson, Mr and Mrs W Ilsley, Lrs F Deacon, Miss F Finch, Mr and Mrs Eastell, late fellow employees of the GWR, Mr and Mrs Jack Spracklin, and a few old friends, and Mr H Weld. The deceased leaves a widow and two daughters aged 12 and 4 years respectively. Among letters received was one conveying the true sympathy of the King and Queen, and from the Record Office of the RH and RFA, Woolwich. The funeral arrangements were carried out by Hart and Sons, of Northcroft Lane. Locally he is remembered on Tablet 13 of the Newbury Town War Memorial and the parish memorial board and roll of honour in St Nicolas Church, Newbury. In loving memory of Gunner Ernest Henry Deacon, RFA, who died at Glasgow, December 2, 1917. God taketh those whom he loveth best. We have our dear soldier daddy sleeping. Charlotte never remarried and died in Reading in 1962. 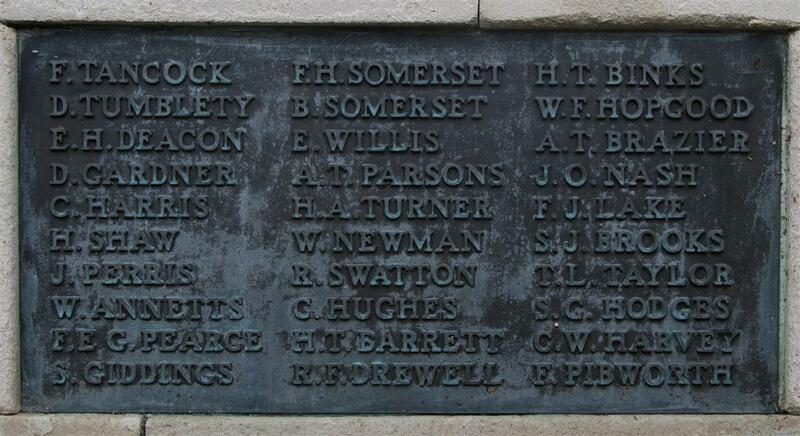 Their eldest daughter, Daisy, married Philip Deacon, who also worked for the GWR and was the younger brother of another Newburian remembered on the town memorial, Albert Thomas Deacon. Thanks to Karen Newbury for her help researching this soldier.